FREE Victoria’s Secret "It” Bag With Purchase! 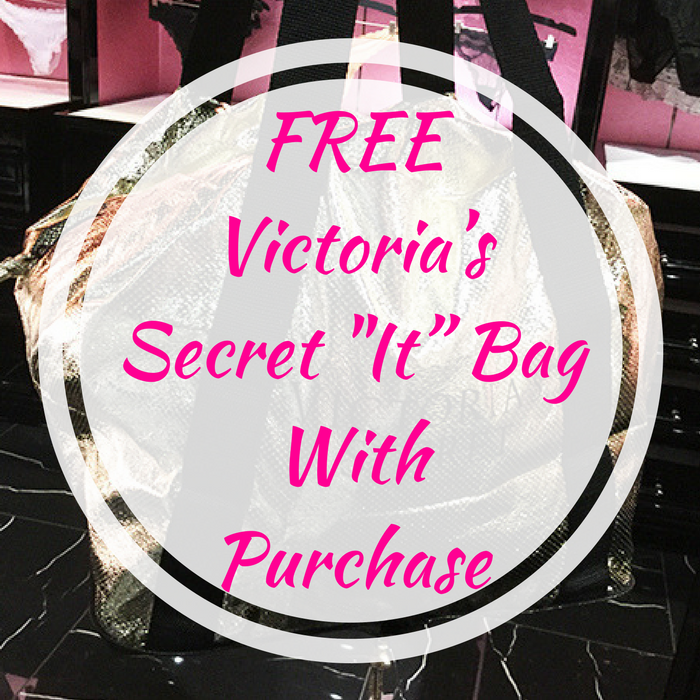 You are here: Home / FREEbies / FREE Victoria’s Secret “It” Bag With Purchase! FREE Victoria’s Secret “It” Bag With Purchase! For a limited time only! At Victoria’s Secret, all Angel Cardholders can score a FREE Victoria’s Secret Packable “It” Bag ($58 value) with $85 purchase! Just use promo code ANGELBAG at checkout to get your FREEbie. Please note that there is a limit of one per customer, while supplies last.